The mission of the University Theatre is two-fold. One is to provide an opportunity for University of Oregon students to participate in dramatic arts productions. These opportunities serve as a laboratory for Theatre Arts majors to apply what they learn in classes, but participation is not limited to majors only. All University of Oregon students are welcome to take part and may serve a production as actors, directors, designers, choreographers, playwrights, composers, musicians, technicians, dramaturgs, publicists, and arts managers. The second mission of the University Theatre is to provide an opportunity for University of Oregon students and residents of the community and surrounding area to see live theatrical performances of high caliber at affordable prices. The availability of cultural events such as University Theatre productions is an important resource for the students attending the University. 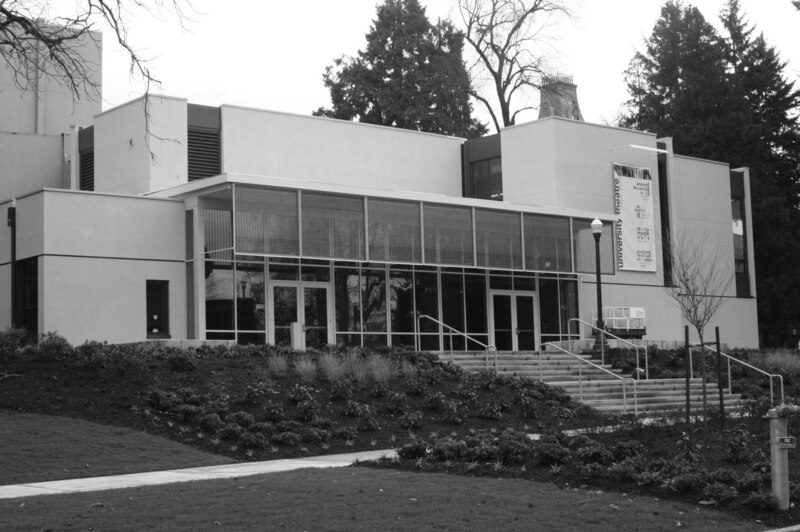 The University of Oregon is home of Miller Theatre Complex which features two recently renovated spaces the Robinson and Hope Theatres. The Robinson Theatre is a 300 seat proscenium theatre, with a beautifully expanded lobby, acoustics upgrades and great improved sight-lines by new stadium style seating. The Hope Theatre is a 150 seat flexible space designed with state of the art sound and light capability. The space is completely flexible in its arrangement from full-round to thrust staging, to proscenium or stadium configurations. Also as part of the renovated complex is an expanded scenic shop and new costume shop. The University Theatre is not the only place that you have the opportunity to see the great emerging talent of the Theatre Arts Department. The Pocket Theatre and Summer Theatre provide great additional theatrical productions. The Pocket Playhouse season is organized and administered by an elected board of undergraduate students and is financially supported by the UO student body. Plays, many of them student written, are presented almost weekly throughout the school year. Directors are selected through a lottery and minimal budgets are provided for royalties, sets, costumes, publicity and programs. Click HERE to see what they are currently working on! UO Ticket Office hours in the EMU are 10 to 6 pm weekdays, closed on weekends. The UT box office in the Miller Theatre Complex is open one hour prior to shows for ticket sales. Contact the EMU Ticket Office at 541-346-4363 or fax to 541-346-1978.